Today local Kenya television services consist of 6 stations, that broadcast a wide array of local and international shows throughout Kenya. During the first 2 decades of Kenyan independence, the government was in strict control. There was only one political party, and the media were held in tight check. Kenya television consisted of a single station which was mainly a tool for the government. With a change of national leadership in the 1990s, the television industry in Kenya was given more freedom and more stations were founded. The original Kenya television station is the Kenya Broadcasting Corporation (KBC), and they are still broadcasting today. They were first a radio station during the British colonial period, offering news for the white ranchers who had settled in Kenya and needed a way to get news from Europe. By 1962 they began to broadcast television as well. With the independence of Kenya, the name of the corporation was changed to the Voice of Kenya. In 1989, the name was changed back to the original Kenya Broadcasting Corporation. KBC is the most offers the most wide-spread television service in Kenya, being available in all major cities and a number of rural areas as well. In the 1990s, the field began to expand and modernize. The KBC started to improve its capabilities with new equipment and expanded services. During this time, competition began to appear as new stations were launched. The second one was the Kenya Television Network, started in 1990. The KTN was private, unlike the government-owned KBC which gave them greater freedom with regards to their content. Today, KTN is still a news station that focuses on business news rather than the more aggressive journalism style it was founded on. The network broadcasts in the major cities, including Nairobi, Mombasa, Nakuru and Eldoret. 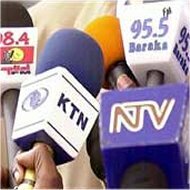 By 2000, more stations began to broadcast and further broaden the options available for Kenyans. Additional stations are Nation TV (renamed NTV), Family TV, Sayare TV and Citizen TV. Both Family and Sayare networks are predominantly Christian or gospel themed, reflecting the strong missionary influence in Kenya. With more competition on the airwaves, KBC also chose to expand by creating a new channel for sports and entertainment, called Metro Television. NTV has embraced the Internet and started to air its programs and other video content on YouTube in 2007, and they are part of the Nation Media Group, who also publishes the Daily Nation newspaper. They have not been the only ones to step into the modern age with Internet broadcasts. The recently launched A24 media group has a new style of broadcasting, existing only on the Internet and featuring video and programs from across Africa. 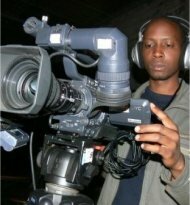 As a tribute to the advances the Kenya television industry has made, the first Kenya Film and Television awards are being held in 2009. The competition would showcase and support local talent in the field, with awards similar to the popular Academy Awards.